Jim Logue came from South Carolina, he was Taika Seiyu Oyata’s senior ranking student. He had many years of Martial Arts experience, and he wrote about, practiced and invigorated the art of Ryukyu Karate. As a leader in the Oyata Shin Shu Ho Ryu® and RyuTe Renmei®, he was a guiding force in the development of both RyuTe® (Taika Oyata’s public art) and Oyata Shin Shu Ho Ryu® (Taika Oyata’s family art). Jim Logue began the study of the Martial Arts in 1963 studying karate, judo and boxing. In 1969, while he was stationed in Makiminato, Okinawa he began a life-long journey with Taika Seiyu Oyata in the study and practice of Ryukyu Karate. Along with other senior students, Albert Geraldi, Bill Wiswell and Greg Lindquist. he helped to develop and organize Taika Oyata’s association in the United States. In 1977, they brought Taika Oyata to the United States and established the Ryukyu Kempo Association. In later years, Taika Oyata replaced the generic connotation of Ryukyu Kempo and personalized his organizations by renaming them RyuTe Ren Mei® and Oyata Shin Shu Ho Ryu® and began to teach the “old” way of karate. Logue’s teaching experience began in 1971 with private lessons and in 1973 he established his first dojo in Barnwell, South Carolina, which is the oldest operating RyuTe® dojo in the United States. In 1981, he was the first to hold a public seminar featuring Taika Oyata. It was from this seminar that Taika Oyata first introduced Tuite and Kyusho Jitsu to the martial arts public. In 2004, Logue moved his Kenpukan dojo to Lexington, South Carolina. Logue instructed in Martial Arts Camps, Seminars and Symposiums throughout the United States, in addition to the annual RyuTe® Summer Conferences and seminars. 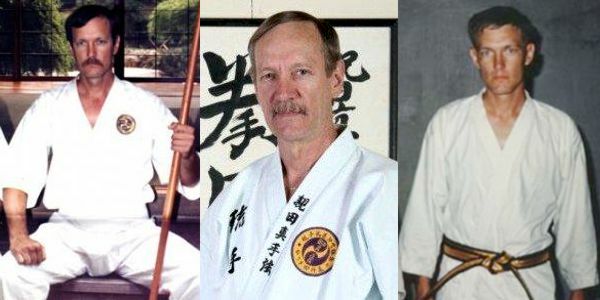 He most notably, was a guest instructor for Ridgley Abele’s International Martial Arts Symposium, Doug Perry’s Shorin Ryu Karate Camp, also known as “Little Okinawa”, Tom Ryan’s Palmetto Fall Clinic, Bill Sandford’s Warrior’s Weekend and numerous seminars throughout the United States. He also accompanied Taika Oyata and helped with his many seminars including trips to Tokyo, Okinawa and Israel. In January 1994, Logue received a resolution from the South Carolina House of Representitives for his community service and achievements in the martial arts. In October 1999 Logue received the Kana Oyata Meritorious Service Award from the Oyata Shin Shu Ho® organization. This award is dedicated to the memory of Taika Oyata’s father, Kana Oyata, and given for 30 years of dedicated service in training, instructing, promoting and upholding the ideals of the life protection arts, Oyata Shin Shu Ho® and RyuTe Ren Mei®. Also, in October 1999, he received Meijin Award from the Board of Directors of the International Martial Arts Symposium in recognition for a lifetime of dedication and leadership to the Martial Arts Community. Sadly, Jim Logue passed away on November 15, 2011.